Like the experience of waiting for a bus and then three come at once, it seems that after waiting four years for new music from HAIM, the band have released two songs in the space of a week, and their latest single “Want You Back” is a regretful breakup bop that’ll make you want to fall in love again. 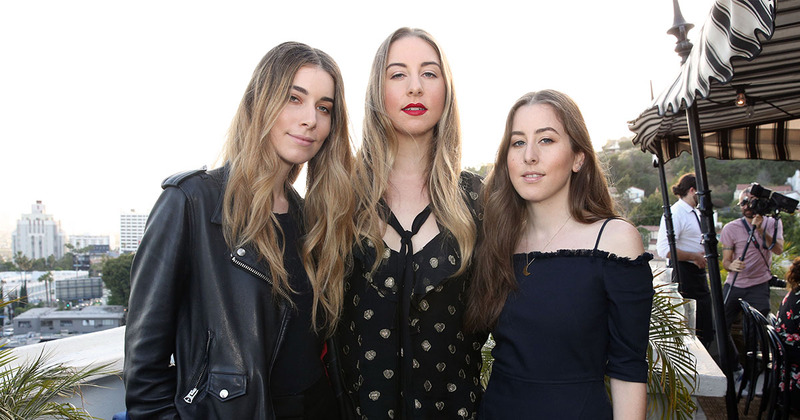 Having released their debut album Days Are Gone way back when in 2014 (ahh, simpler times), the HAIM sisters are finally BACK. Este, Danielle, and Alana made their return to music last week with the sparse track “Right Now,” complete with live recording filmed by moviemaker Paul Thomas Anderson. Their newest song, “Want You Back,” which was produced by Ariel Rechtshaid, sees the band pick up where their debut album left off, with the sisters revisiting their ’70s and ’80s influences. The band’s signature sprightly percussion and staccato vocal delivery are prevalent all over the song, with an electronic sheen updating their funk-pop sound. Listen to “Want You Back” below. HAIM have also announced their upcoming sophomore album, Something To Tell You, which is set for release on July 7th. Speaking about the new music to Rolling Stone, Danielle Haim said that the songs were pretty personal. The sisters are set to debut their new music on May 13th on Saturday Night Live. The episode is being hosted by Melissa McCarthy.